Here is my husband's Valentines. I prefer non-traditional cards, hence the colour choices here and it is a little more masculine. I love this fox and this is the first time I use him on a card. Glad you entered our challenge! I just love this card! Hi Kim, I am so glad that you are playing along with us. This is one gorgeous card! I love your take on the challenge. Thank you for playing along with us at DCD Challenge. I was sure I left a comment on your delightful card. I love the way you positioned the heart on the card. 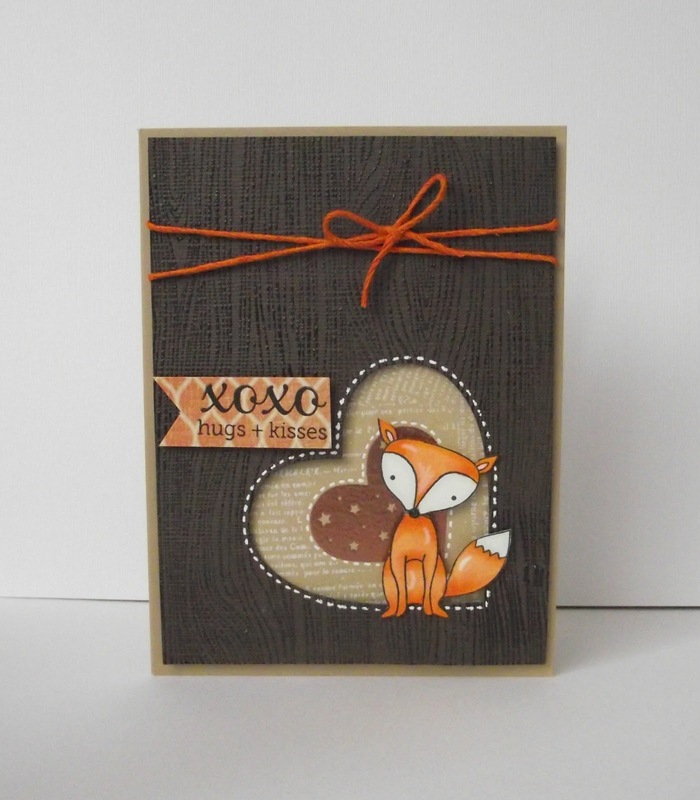 I love how you layered your elements...such a cute card! Super sweet! !The stitching around the heart is wonderful but your fox stole my heart! adorable Kim. Glad you joined us at DCD for our new challenge.